Cut one or two slices from the thinner side of the ham, parallel to the shank bone, in order to create a flat, steady base for carving on a cutting board. 2. 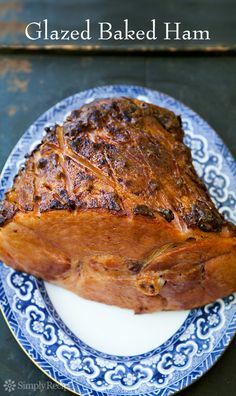 Turn the ham so that it is resting on its base.